August is the perfect time for healthy breakfasts. A quick visit to the farmers market and you’ll find everything you need. If you pre-wash your greens, fruits and berries and store them in bowls or stackable glass containers in your fridge – it is quick to serve too. Just get the bowls out and place them on the table! 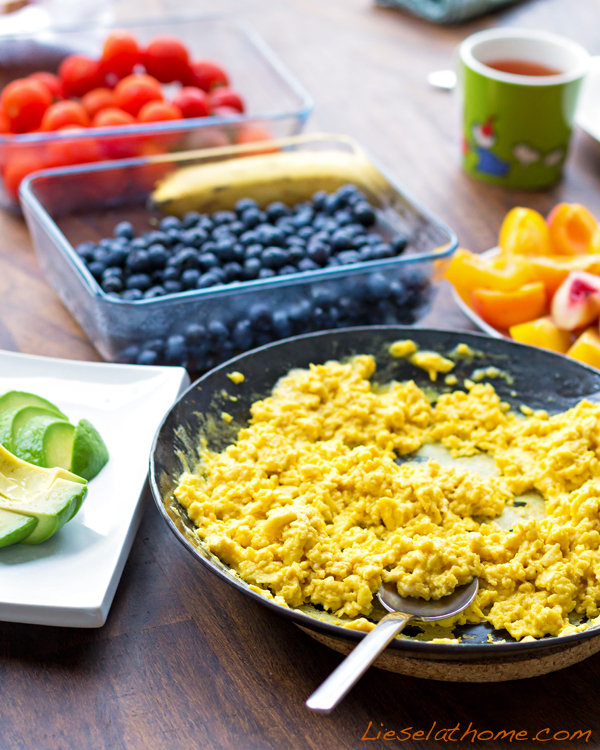 To spice things up a bit – both for our taste buds, for health and for color – add chili powder and turmeric (curcuma) to your scrambled eggs! 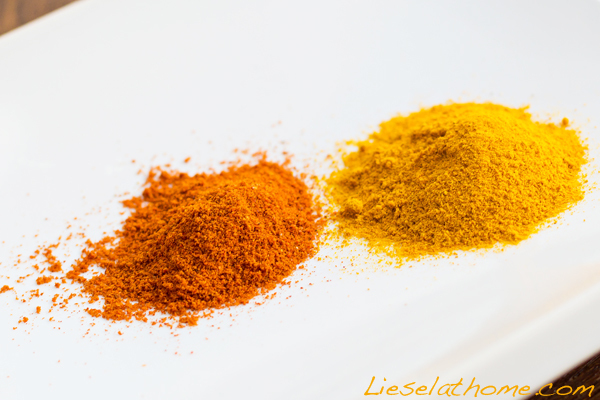 Chili powder is a natural pain killer that is also helpful fighting inflammations and boosting immunity. Turmeric, mostly know for bringing the yellow color to curry spice mixes, is another anti inflammatory spice, that is said to be helpful in preventing Alzheimer’s, Parkinson’s, cancer, heart disease, diabetes, arthritis, and depression, just to mention a few. Of course these spices can be added to plenty of other food as well, like to ground beef patties, to chicken or to white fish. Now, make coffee or tea and fill up your plate. Sit down while you eat, and leave the phone, computer and TV off. 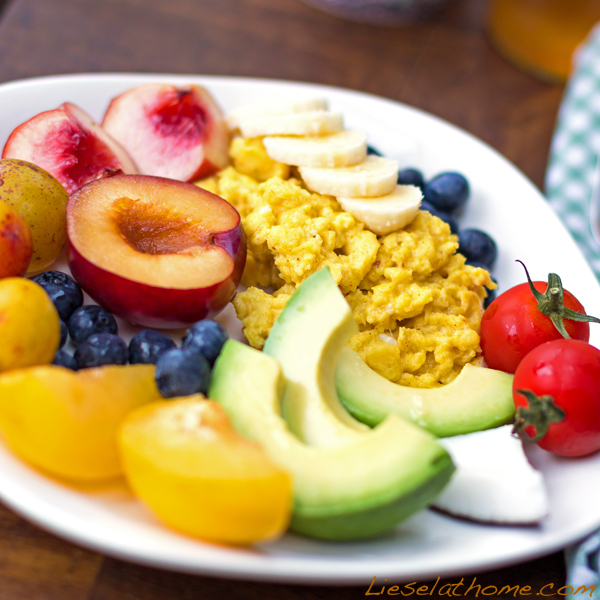 Let your breakfast be a feast to your eyes and to your health! Text and photos by Lisa Fuchs, August 2014.